What I love the most about Jasper National Park is its diversity. 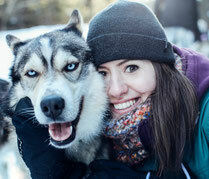 The photography spots here range from crystal blue lakes to towering mountains and pretty much everything in between. I have spent a fair share of my year in Canada exploring Jasper National Park. At one point I was even considering moving here, but in the end settled for Canmore. 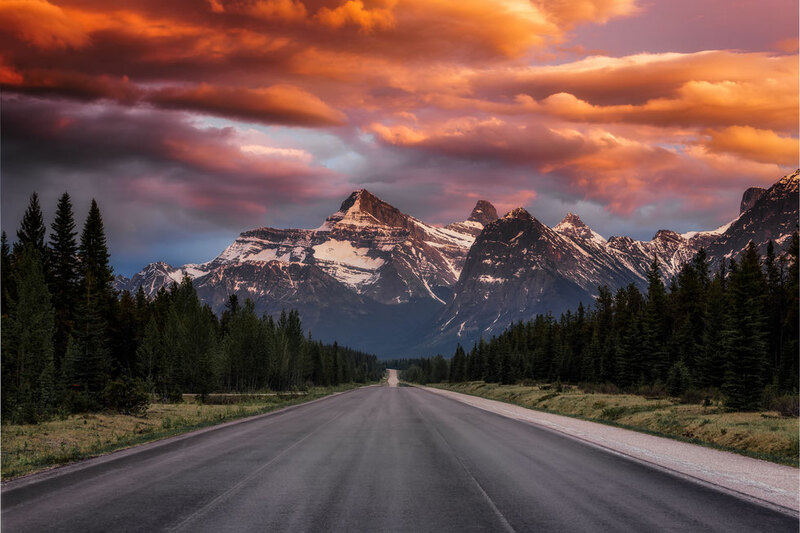 As thorough as I was trying to be in this post, I have deliberately left out some of the photography locations on the Icefields Parkway, a big part of which lies within the boundaries of Jasper National Park, simply because I covered them in detail in a separate article. 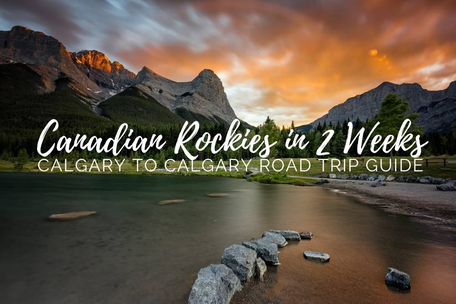 If you are planning a holiday in Canada consider following my two week road trip itinerary through the Canadian Rockies. 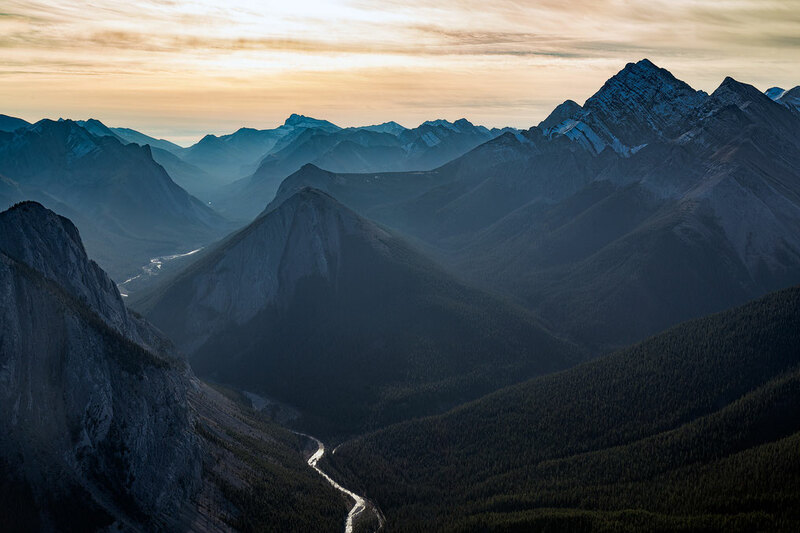 It spends a decent amount of time in Jasper and will help you plan your Canadian adventure. If you're coming here solely for photography, my advice would be to get away from the crowds by getting to the locations early and visiting in the shoulder season, with September being my favourite month. 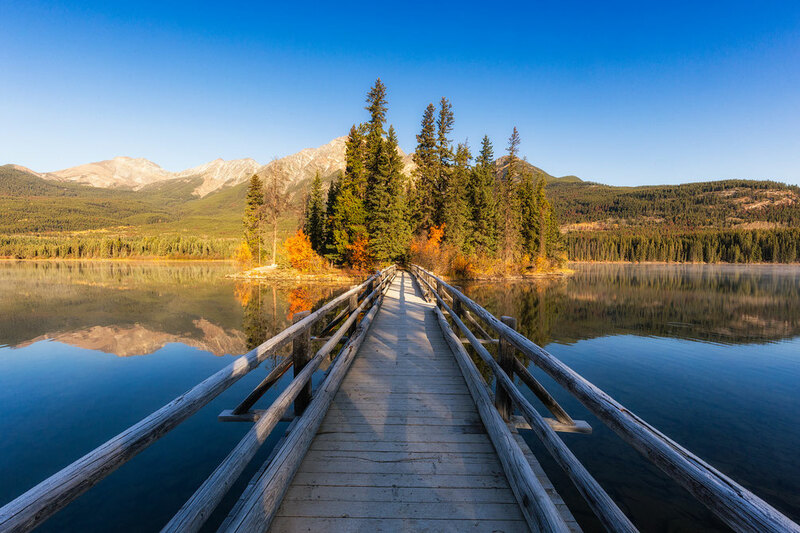 A short drive from the centre of Jasper, Pyramid Lake is great for a picnic, a paddle, an afternoon stroll or some early morning photography. This is a perfect sunrise spot. It offers great views of the adjacent Pyramid mountain which is one of the most prominent eastern facing topographical features of the area. The most popular view is along the walkway to the Pyramid Island. 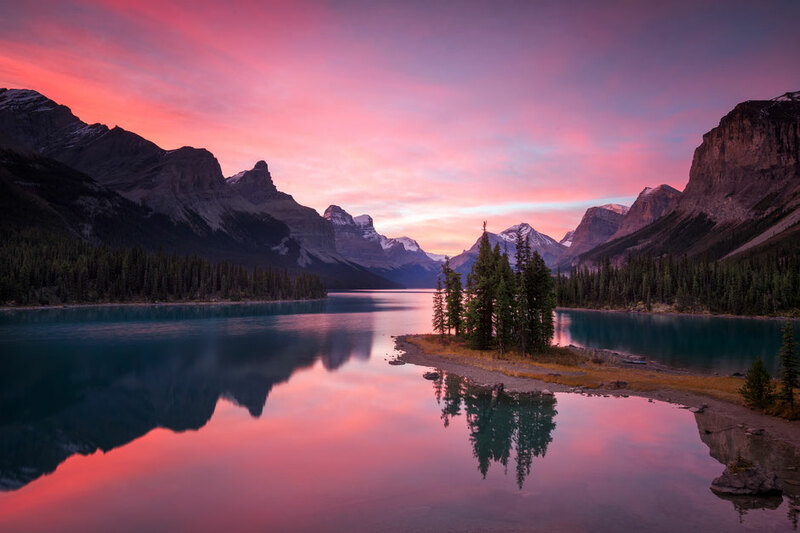 The most iconic spot in Jasper National Park has to be the Spirit Island. Unlike Pyramid Island, Spirit Island requires a bit of planning to get to especially if you want to photograph it at sunrise or sunset. There is a boat cruise, that runs multiple times throughout the day, but it operates outside of the ideal photography hours. If you want the right conditions you may have to canoe 26 kilometres, like I did, and stay at the nearby Fisherman's Bay campground overnight. Fortunately for me, all the hard work paid off and I was treated to this unbelievable sunrise. 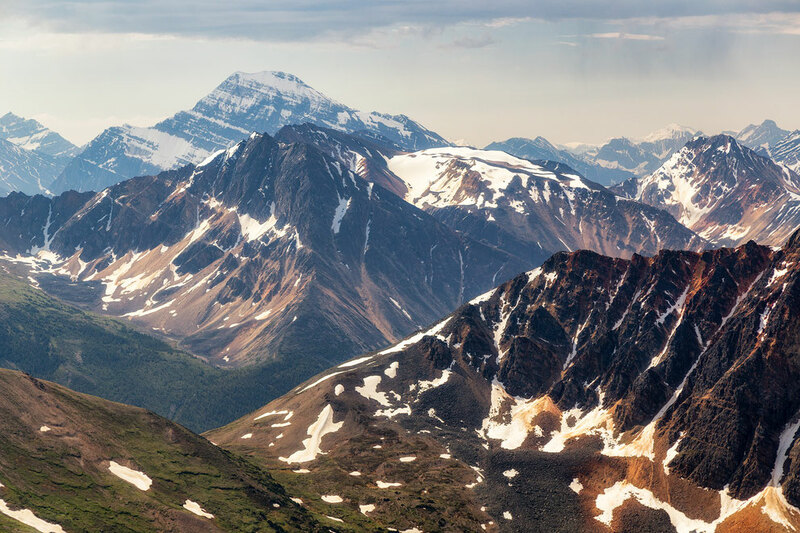 I consider the hike up the Sulphur skyline as one of the best in Jasper. 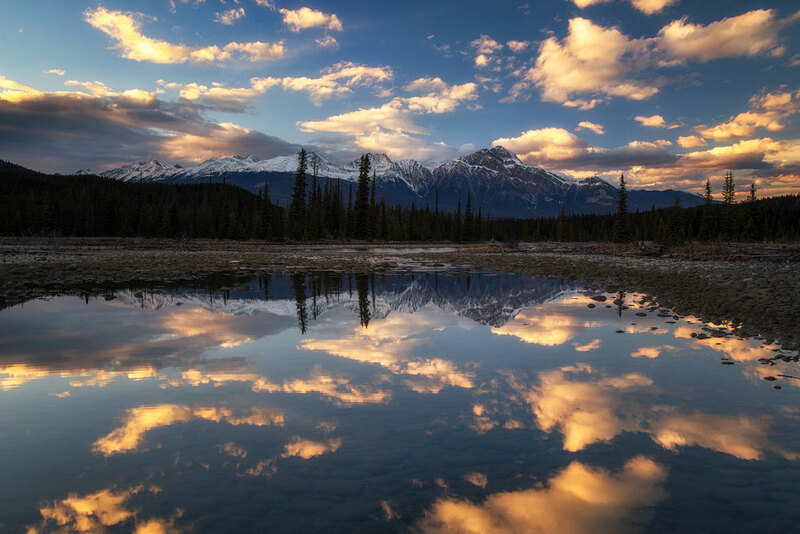 It starts at the Miette Hot Springs 44 km north east of Jasper and offers 360° panoramic mountain views along many ridge lines and into all the connecting valleys. Once you're back down you can treat yourself to a dip in the Miette hot springs! This photo was taken from the summit looking north east into the Fiddle River Valley shortly after sunrise. The view is certainly worth the effort. I can guarantee you that not many people will be able to sacrifice a few hours of their sleep to get to this photography spot for sunrise! The gondola in Jasper takes you to a staggering 2300m where the views over the valley bottom simply have to be seen to be believed. It's also the starting point to the short hike to Whistler's Peak or the more advanced Indian Ridge Hike, one of the best hikes in Jasper. This is a perfect photography spot for someone who wants to come home with some unique shots of the area. 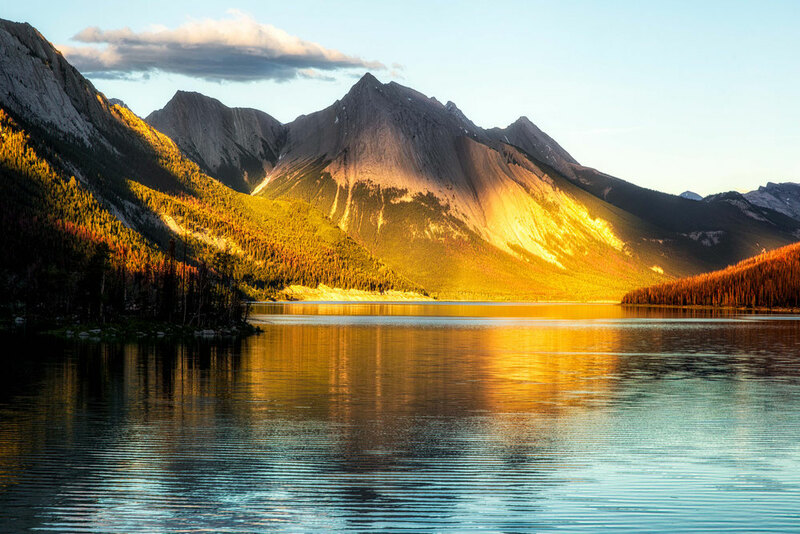 Medicine Lake is around half way towards Maligne lake and ca 20km away from Jasper townsite. It's a great sunset spot, where you can stop when driving back to Jasper. There are few parking lots and viewpoints right next to the lake making it easy for anyone to look for a perfect composition. If you drive this road in the summer, there's also a very good chance that you'll spot a few bears feeding on the side of the road. 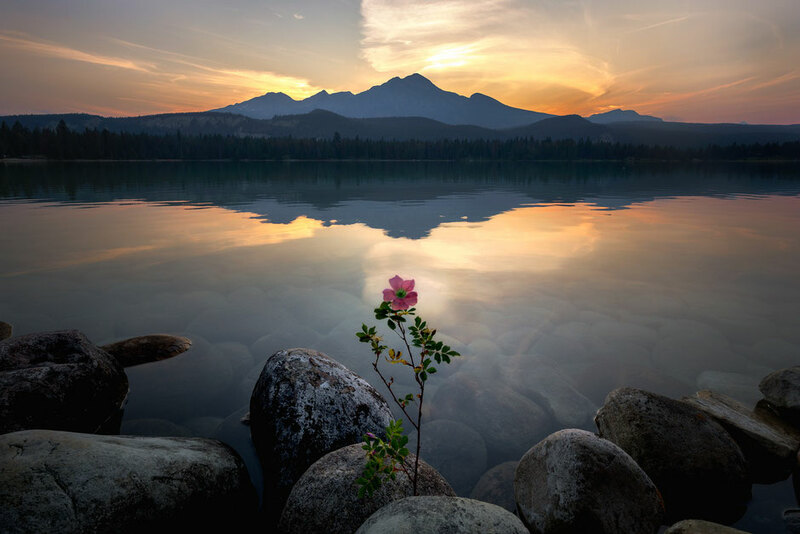 Close to the centre of Jasper, lakes Annette, Edith and Beauvert make for some of the most accessible photography spots in Jasper. Due to their small size, you can easily walk around them, gazing at all reflecting peaks that you'll be treated to on a windless day. 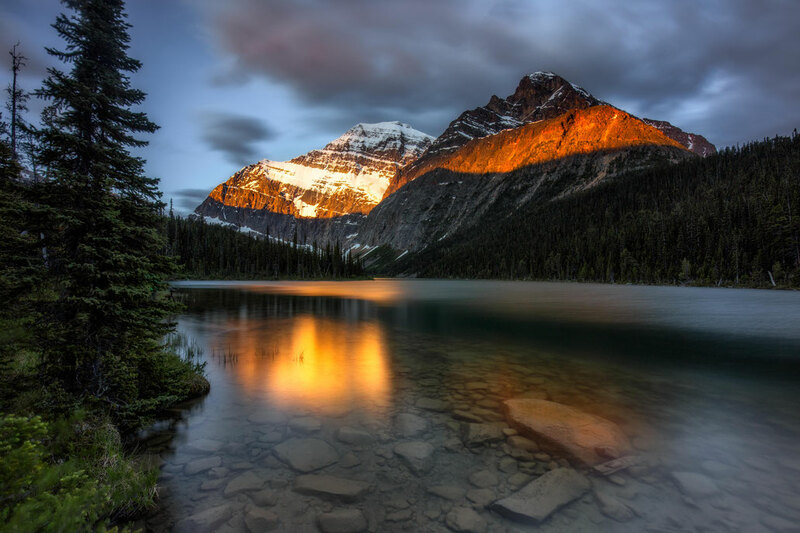 I've found that Edith Lake is best for reflections of Mount Edith Cavell and Lake Annette (photo above) is best for reflections of Pyramid Mountain. This photo was taken during sunset, as the last light bounced off the haze that was created during some nearby wildfires. During the summer wild roses are a common sight on the shore. Only a short walk from the Astoria trailhead carpark, Mount Edith Cavell, as seen from the Edith Cavell Lake in the photo above (man, someone was very creative when naming those spots), is a must do if you're in the area. Just remember access is currently limited to 180 cars per day so make sure the first thing you do when arriving to Jasper is to head to the visiting centre and get yourself a pass. The Cavell Lake also marks the start of the multi day hike on the Tonquin Valley. The above photo was taken during a very moody sunrise. Speaking of Tonquin Valley. After backpacking it twice during last summer it remains one of my favorite multiday hikes I have done in the Canadian Rockies. During my first time in the Tonquin valley, some pretty bad wildfires in the nearby province, created a thick haze. Although I didn't come out with the shots I was hoping for I came out with something so much better. 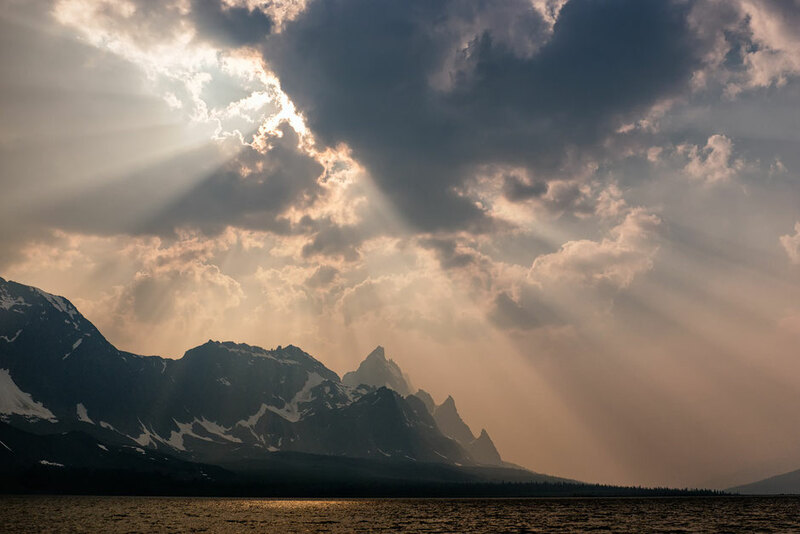 A story and some undeniably unique conditions captured in the photo above, when the light pierced the clouds overhead and created these epic rays. The Ramparts - the mountain range seen in the picture marks part of the border between Alberta and British Columbia called the Great Divide. The Athabasca River runs right through Jasper's townsite. There are many points along the river where you can take great photos. One of my favourites is the bridge at the turn off towards the Maligne Lake Road. The photograph you see above was taken south of the town near another bridge close to the valley of the Five Lakes trailhead. I know I said at the start that I have deliberately left out photography spots on the Icefields Parkway in this post because I have written about them in a separate blog entry. Except this one. Mount Christie viewed from the road when driving south along the Icefields Parkway is my personal favourite photography spot in Jasper National Park. To get this shot you can park your car at the Athabasca Falls parking lot and take a short walk from there back to the road. You can't miss it! Every time I drive this part of the Icefields Parkway I get an overwhelming feeling of being really small against these towering giants. 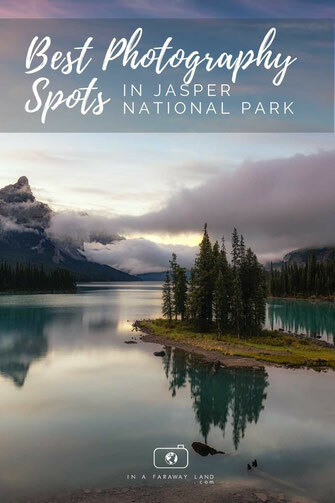 Here is an interactive map of all the photography spots in Jasper National Park. I hope it helps. 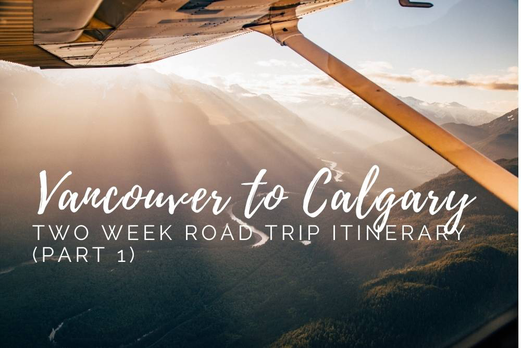 Planning a trip to Canada? Save it to your Pinterest!